Who doesn’t love potatoes?! 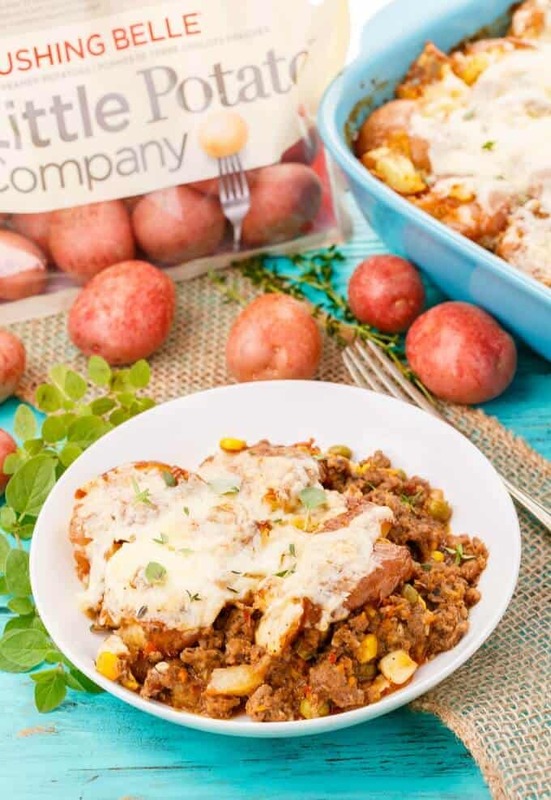 Today I present to you my smashed potato shepherd’s pie courtesy of my brand ambassadorship with The Little Potato Company and a giveaway to win a month’s worth of free potatoes from them! The photos and recipe for this smashed potato shepherd’s pie have been updated as of October 8th, 2018! In my childhood, spaghetti, lasagna, and shepherd’s pie were traditional meals in our household. 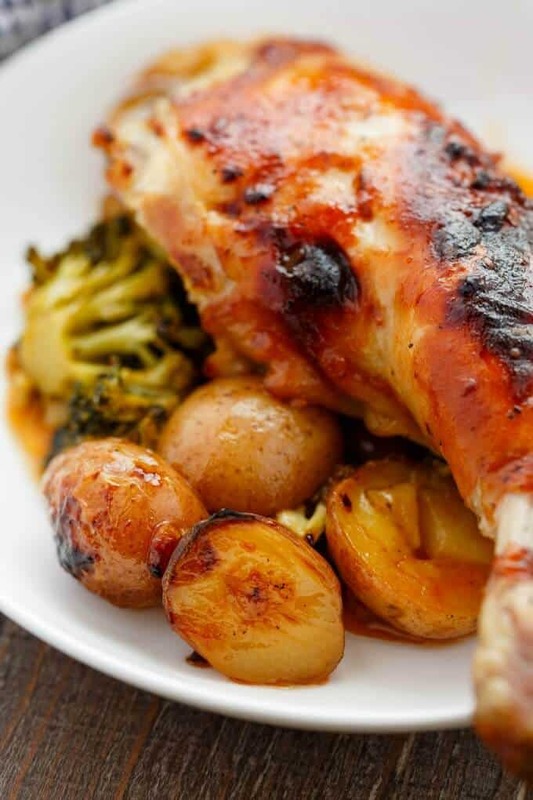 Pretty hearty meals and perfect for a family of five. My smashed potato shepherd’s pie is nowhere near my parents’ creation! First off, from my research online, I realize this smashed potato shepherd’s pie is technically a cottage pie, but my parents have always called it shepherd’s pie (shepherd’s pie= lamb chunks, cottage pie= ground beef.) Now that that is cleared up, let me explain my parents’ version. Nothing wrong with it at all; my brother and sister still love it to this day! 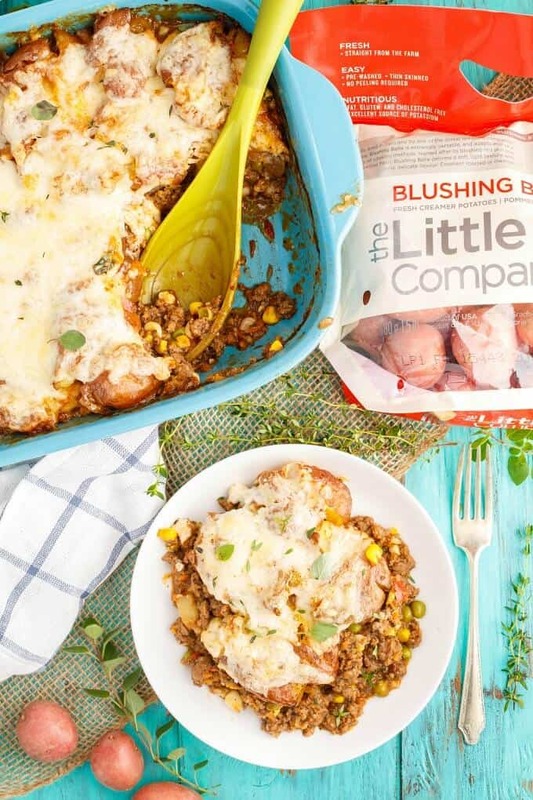 I knew immediately that this smashed potato shepherd’s pie would be full of fresh ingredients, and packed full of flavour! Dan never complains about beer in his food. Or in his hand while he does house renovations! From previous experience I have worked with beer successfully and thought it would lend great flavour to this dish. According to Dan? Perfect! He was so happy with this recipe that he had some for dinner and then another helping for lunch that night (working midnight’s makes things confusing.) Pretty sure he ate this recipe for 3 days with no complaints! Then I made myself a vegetarian shepherd’s pie and he had it some more, but stated he preferred the meat version (psh, I thought my meatless version was amazing!) He is also a BIG potato lover, so it is no surprise that he ate this meal for days with no complaints. Seriously, he could be full and still somehow eat a bunch of potatoes. It actually terrifies me! So when he heard I would be working with The Little Potato Company and their Creamer potatoes, he was prepared to marry me all over again! UPDATE: I have made a tutorial video for this recipe! Be sure to check it out! Now, Dan always likes hearing “did you know” facts. I have no trouble sharing with him info on Little Potatoes and what Creamer potatoes are. What are Creamer potatoes? Creamer potatoes are NOT baby potatoes. Don’t worry, I was mistaken, too, at first. Creamer potatoes are actually mature potatoes that are just little. 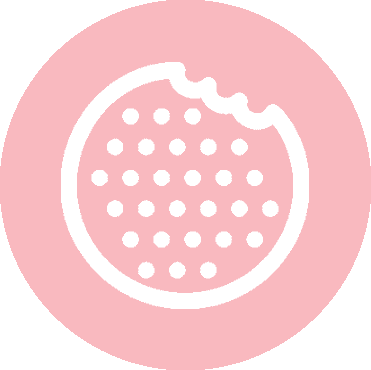 They are picked at full maturity for maximum flavour, and the best part? Bite-sized potatoes with no lacking of flavours or taste! 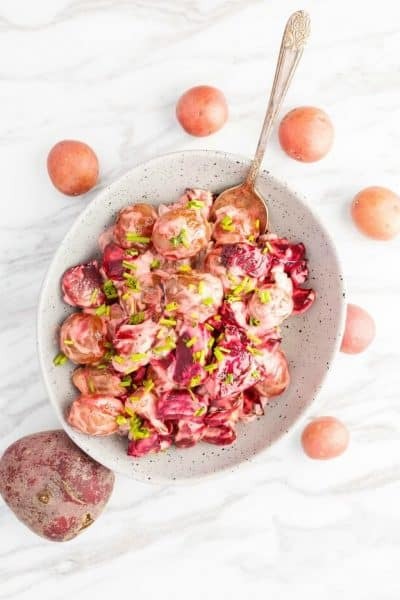 I have used a wide varietal of Little Potatoes, and they are true to their facts: the Creamer potatoes are buttery, tasty, and packed full of nutrients! 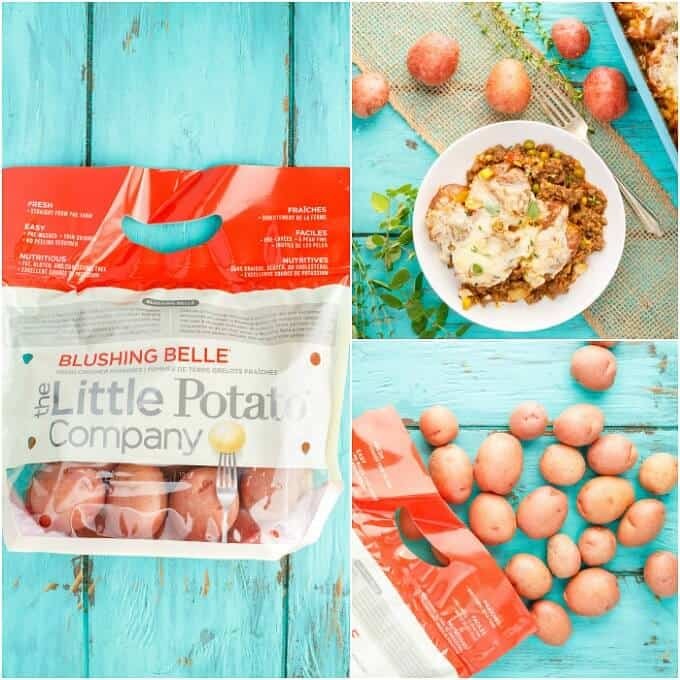 This smashed potato shepherd’s pie recipe has been made numerous times now, the first time with Baby Boomer, and this time around with Blushing Belle. 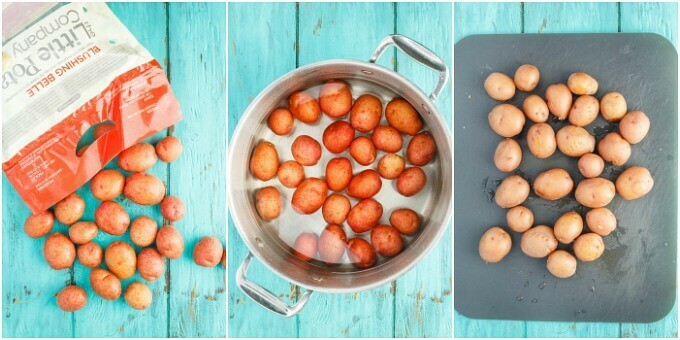 Add potatoes to a large pot of salted water. Bring to a boil and cook for 7-10 minutes, or until just fork tender. Drain and rinse with cold water to stop them from cooking. 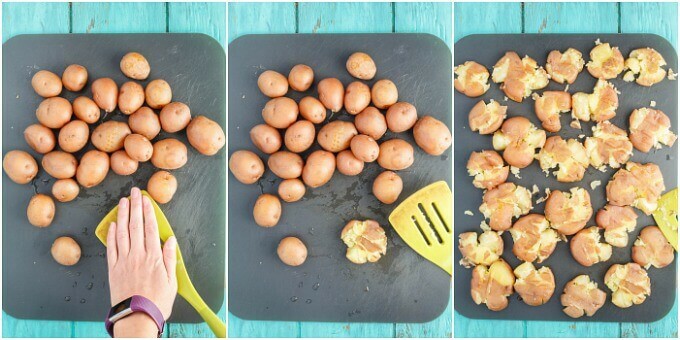 Using a spatula, place the flat end over one potato at a time and press down with your hand to "smash" them. 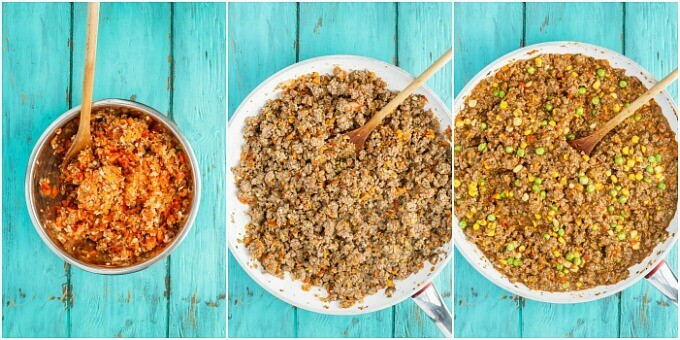 In a large frying pan over medium-high heat, add your ground beef . Cook for 2 minutes and stir in onion, celery, carrot, garlic, mushrooms, and red pepper. Cook until all meat has browned, about 8-10 minutes. Drain excess grease. Season with salt, pepper, thyme, basil, and oregano. Stir in flour, Worcestershire, and tomato paste. Cook for 3-5 minutes, stirring frequently. Pour in beer (or broth if using in place of alcohol) and scrape any bits from the bottom of pan. Simmer for a few minutes and add corn and peas. Place into the oven and cook for 10 minutes, uncovered. Sprinkle cheese on top and continue cooking for another 10-20 minutes, or when potatoes are nicely browned. 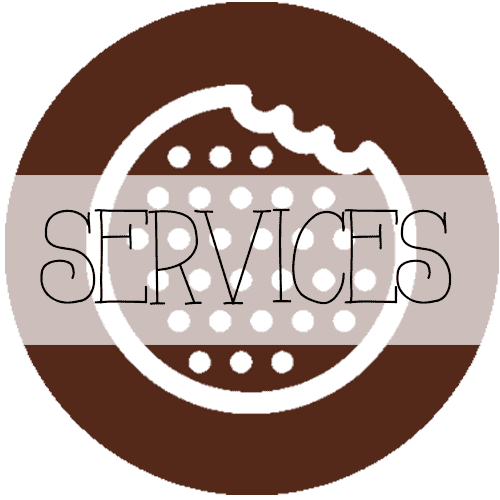 Allow to cool slightly and serve! This meal is fast and easy, as long as you prep all your veggies in advance. Not a beer lover? Omit it altogether! Gluten allergy? Use cornstarch instead of flour and make sure you choose a gluten-free beer. Also, omit the cheese topping and this meal is completely dairy-free (the Creamer potatoes are so buttery on their own, you won’t need any other dairy here!) How awesome is that?! This giveaway will start on March 19, 2015 at 12:00 AM EST. It will run until April 3, 2015, 11:59 PM EST. The prize is one months worth of free Little Potatoes from The Little Potato Company! The giveaway is open to residents of Canada and the US. 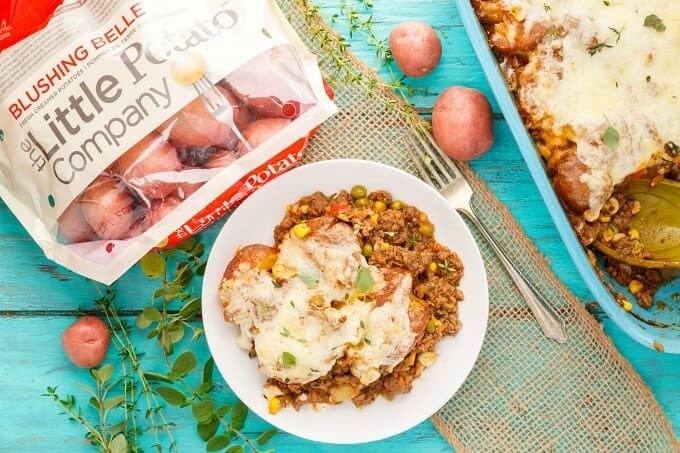 Dig into this giveaway because you know you really want these potatoes! The winner will be notified by email and will have 24-48 hours to respond. If they do not come forward, I will redraw a name. The winner will be announced Tuesday, April 7, 2015. Love that you used little potatoes instead of mashed potatoes. Can't wait to try this! This is such a great idea! I love the new twist on a classic. Love those Little Potatoes! We always called it Shepherd's Pie too, even though it was always with beef. Pinned! I never knew any differently until I ran along some "interesting" comments on certain social media platforms. I will still continue to call it Shepard's Pie! Meat and potatoes, this is my kind of meal! Pinning to make! I love boiling them and then roasting them in olive oil (smashed potatoes!). This looks like the absolute perfect comfort food! I need to make this asap! It was the perfect comfort food during this very long winter! The smashed potatoes on top are GENIUS! 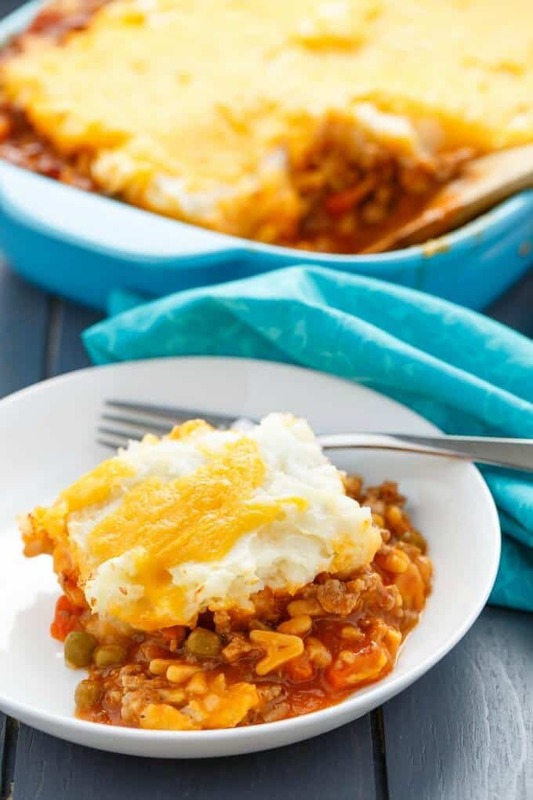 I don't love mashed potatoes but I loooooove the flavor of shepherd's pie so I'm totally trying it this way next time! Looks amazing! I am glad I can appease non-mashed potato lovers! Oh man!! This looks like something I could actually dive head-first into. YUM. I love revamping my old favorite childhood meals! So fun! 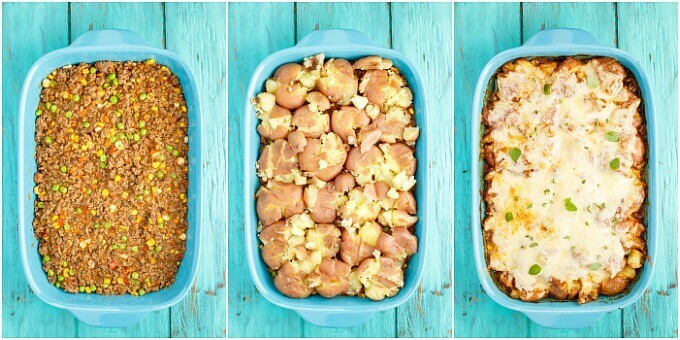 I really love the changes you made to this, and using smashed potatoes instead of mashed is genius! Those potatoes are called Klondike Rose where I'm at, and they are my favorite too, whatever brand they come from. I'm definitely going to look for these little nuggets though! Love the tiny size! Umm.. mind blown over the cottage pie and shepherds pie difference! Apparently I have been making cottage pie my whole life. Whoa ;) Great recipe Kacey! It looks heavenly! Thanks, Kelley! I love learning new facts too, but still going to call it Shepard's Pie! Your blog is full of wonderufl information and recipe! Thank you. I would make a creamy sheppards pie! Mashed potatoes and the Sheppard pie looks divine!!! I love that you didn't use mashed potatoes in this dish. I love shephards (cottage) pie but would rather not use mashed potatoes. 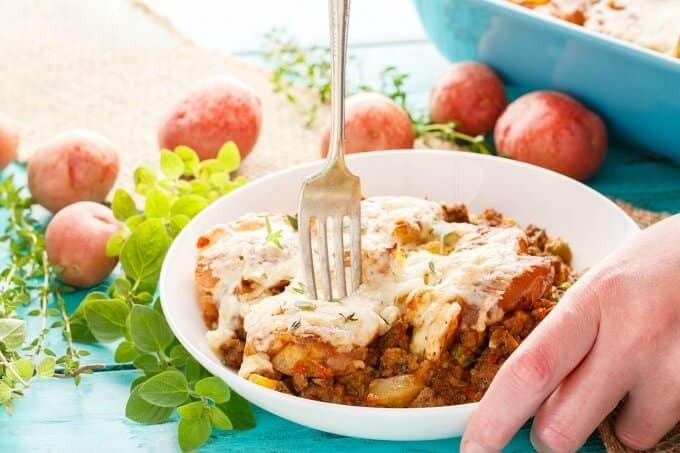 This dish looks so cheesy, hearty and delicious! I am truly surprised at how many people are telling me they do not care for mashed potatoes! Glad I can help everyone out! My sister-in-law always makes these little salt crusted potatoes that are delicious. I would have to get the recipe from her. I would pan fry them with some onions and peppers and make home fries. Home fries are my dad's specialty, so I totally agree! I'd make loaded buffalo chicken casserole with them. The smashed potato shepherds pie look so good! I need to make this! Your buffalo chicken casserole sounds amazing! Thanks for stopping by! 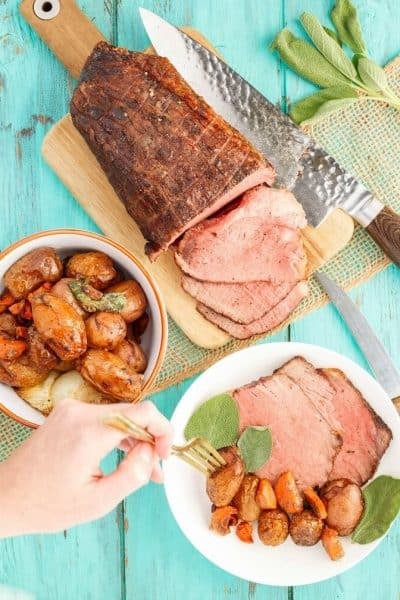 Oven roasted meat & potatos. I would use them for roast potatoes in duck fat. I would bake them in the oven and then top it with mashed avocado. I find myself putting avocado on everything, so this idea really intrigues me! I would bake them golden with some veggies! I would make garlic mashed potatoes, but also this shepherd's pie! I would roast them with a garlic parmesan pesto. 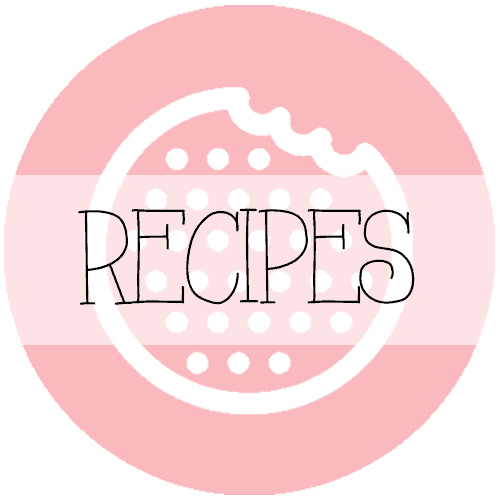 Your recipe sounds and looks so good! I would do so many things! I would love to have them in a pot pie though! I'd roast them with olive oil, rosemary, lemon and sea salt! YUM! I would bake them and serve with butter and salt. Simple I know, but my favourite. Your recipe looks amazing btw. As smashed potatoes on top of meatloaf. I would grease them with butter and roast them. Roasted in the oven with spices along with carrots and chicken....yum yum. I would like to experiment with a new recipe on the barbeque. 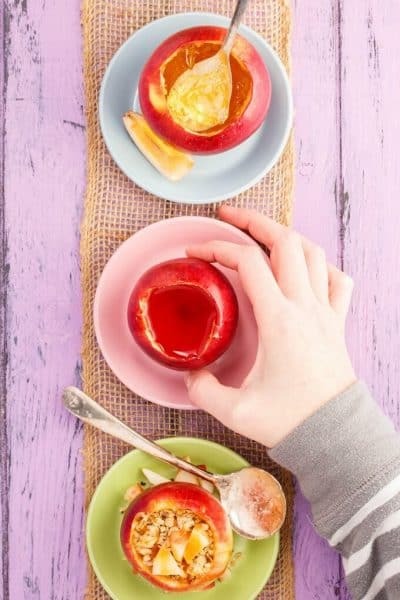 I am definitely trying this recipe! Looks amazing! I am also on the hunt for a creamy dill hot potato recipe if anyone has! I might have to try my hand at a creamy dill hot potato recipe! Cannot believe I used to hate fresh dill. I would roast them with oil , garlic and parm. cheese. I would slice and pan-fry them. 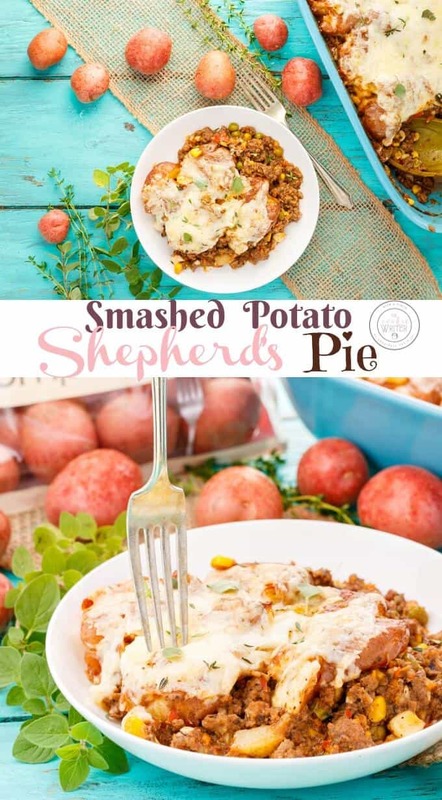 considering we love shepards pie I would love to try out this recipe!! other than that these would be going right into a roast chicken recipe we love. Sounds awesome, Summer! Thanks for stopping by. I would cook mine on the bbq wrapped in tinfoil with butter, with some dill weed, a little bit of chopped onions and a sprinkle of pepper. I would roast them, maybe add a bit of duck fat. I'd roast them then toss in hot olive oil with minced garlic until slightly brown. This is an awesome shepherd's pie. My hubby would love the meat version, and I'd be more than happy to eat the vegan version, LOL. The Creamer potatoes must taste wonderful in here. They made the dish! Thanks for stopping by, Cindy! Kacey, are those little sage leaves on top in your photo?? tks! I actually had to double check because they sure look like sage leaves! They are just large oregano leaves :) I did sprinkle some fresh thyme onto it afterwards.